According to Traditional Chinese Medicine all pain is due the blockage of the flow of blood, acupuncture can remove the blockage and increase the blood flow and eliminate the root cause of the pain. For most of acute pain, acupuncture relives pain in about five minutes, this is much quicker than most pain killers. The response of the body to acupuncture for chronic pain may take a little longer. We treat chronic pain with a number of devices including Electromagnetic Acupuncture and Heat Therapy which can vary the intensity of the treatment according to your needs. In the case of severe disc trauma, acupuncture can be very useful when physical manipulation through chiropractic care is too painful or undesirable by the patient. Here, Acupuncture can provide a very gentle but highly effective treatment. 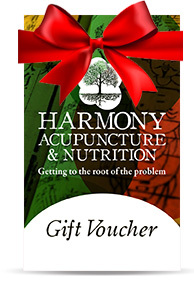 The Harmony Clinic has extensive experience of treating both Lumbar, Thoracic and Sacral Back Pain. Millions of people suffer with low back pain, and it is one of the top reasons people seek medical treatment. Back problems are also, by far, the primary reason for appointments with acupuncturists. The researchers evaluated the effects of acupuncture both in the short-term (defined as three weeks after the last acupuncture treatment) as well as in the longer term. They found acupuncture provided definite pain relief in the short-term, and this relief appeared to be sustained over the longer term. However, they say it’s too early to be certain of longer term effects, and more studies are underway.